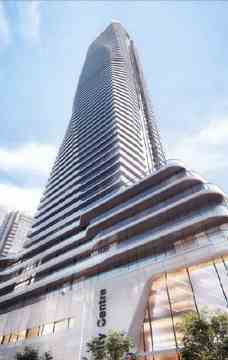 The future master-planned, mixed-use community includes the much anticipated One Yonge Street Site in downtown Toronto. One Yonge will transform a legendary address into one of the world's most vibrant go-to places to live, work, play, and shop and pursue your passions. 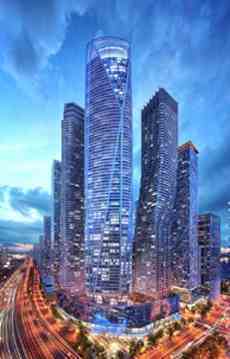 One Yonge condos is planning to be the tallest waterfront tower in Canada overlooking the Lake and the Toronto city skyline sited on the longest street in the world where you can explore the city towards east and west. - Mixed-use community includes condos, hotel, office and retail space. - 6 million square feet of accommodation space. - 3 storeys of retail space. - Courtyard with beautiful landscaped grounds in the centre of towers. - Easy access to the Union Station via the climate-controlled path. - Spectacular Toronto and Lake view. - Over 4,100 units available for residence. - Prime location. Situated on the longest street of the world. - A perfect Transit Score of 100.